George Fox University's Graduate School of Counseling is pleased to be the home of the Northwest Center for Play Therapy Studies (NWCPTS), established in 2003. Under the direction of Dr. Daniel Sweeney, the NWCPTS is the largest university-based center focused on the study and promotion of play therapy in the northwest United States. The mission of the Northwest Center for Play Therapy Studies is to promote the healthy development and welfare of children and families through the process of play and filial therapy. In support of the relational, psychological, and spiritual wholeness of children and families, the center seeks to fulfill this objective through the provision of play therapy training, supervision, and learning resources for students and mental health professionals in the community. 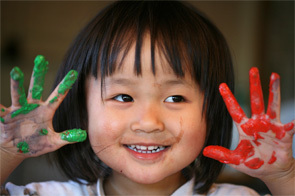 The center's primary focus is the provision of high-quality play therapy training. This is accomplished through graduate courses at George Fox University and sponsored workshops. It hosts graduate courses in play therapy, filial therapy, sandtray therapy, and special topics courses (e.g., group play therapy). The NWCPTS also sponsors two annual events: a five-day Summer Institute in June and a one-day Fall Conference in November. These cover a wide variety of play therapy topics, including introductory and advanced workshops on such topics as sandtray therapy, play therapy with traumatized children, art in play therapy, and neurobiological issues in the play therapy process. Email us with questions or comments at playtherapy@georgefox.edu.